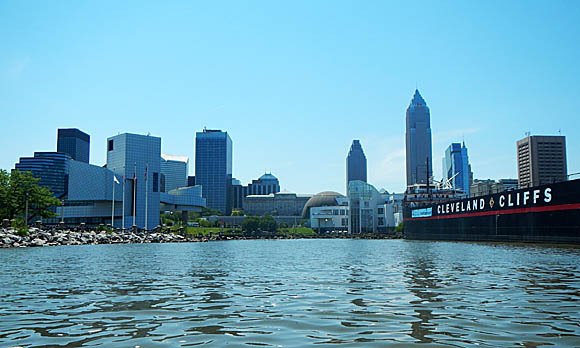 CLEVELAND, OH – One of the top things on my ‘to do’ list after getting into kayak fishing was to get to the downtown Cleveland area to fish the shoreline and near shore waters of Lake Erie. For whatever reason, I just hadn’t made this a reality. 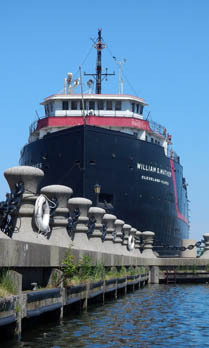 I guess I’m a creature of habit and usually end up launching off Huntington Beach in Bay Village, Ohio. Nonetheless, I am happy to report my first trip to fish downtown is in the books. Of course, I am now kicking myself for not doing this sooner as it was a lot of fun. The energy of the area was downright awesome. There was some kind of festival with live music and the unbelievable smell of barbecue. I watched a steady stream of people posing with the iconic script Cleveland sign. A short way from there, a high school band prepared for a performance while the flag corp. rhythmically practiced their routine. All this to entertain, while fishing! Being true to my craft of multi species fishing, no matter how interesting, new, or exciting a venue is, it still is all about the fish. The fishing itself was a series of highs and lows. I won’t ever complain about fishing if I am catching, and plenty of fish were caught. I will start with the lows so I can end with the good stuff. So here it goes; my goal was to target Smallmouth Bass – I threw tubes for hours with none caught, I only carried two rods and early into the excursion one was lost to the lake – a reminder to tether or have a float as I had to fish one rod all day, I fought and landed the largest drum of my life, well over the elusive 30″ mark – only to have it swim out of the net before a single photo. For most, those might not seem all that horrible, but for me were rather depressing. Probably the least big deal for most would be the drum, yet that was my biggest disappointment of the day. I plan to a post about that single fish, as it is deserving of a story. The photos above represent the fishing high points of the day. 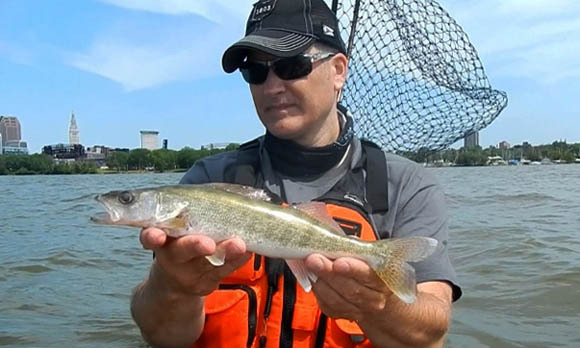 Easily the most noteworthy catch was my first ever Walleye from the kayak. It wasn’t quite a keeper, but the simple fact it was a Walleye, was awesome. The next fish worth noting was a Largemouth Bass, not that it had any considerable size, but rather the fact I got something even anything, to bite on tubes that I desperately threw for hours trying to get a Smallmouth. 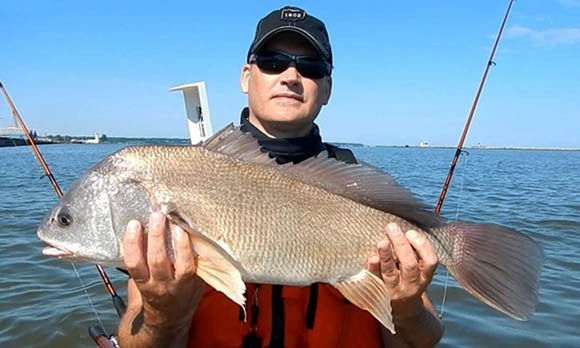 Finally, a 26 3/4″ Fish Ohio Award Freshwater Drum for my first award sized fish of the year. Never knowing how often I can fish, getting the first is important to receive each year’s unique pin. This day’s plan, is definitely something I look forward to doing again! Awesome stuff man! Saw your pics on the Metroparks fishing report. 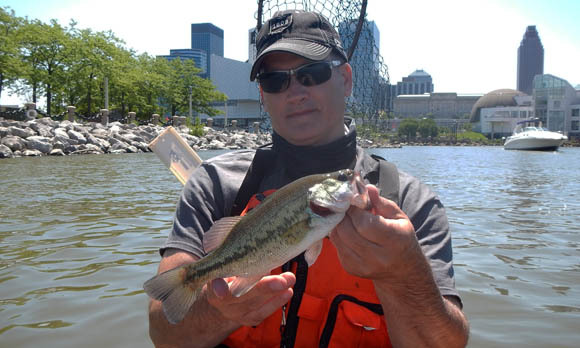 If you get a chance, try kayak fishing at Edgewater and Harvard St. Bridge over the Cuyahoga River. I’ve had decent luck there this season. Good luck! Thanks for the tip, will try it! Glad you stopped by the site.